— Our end-of-the-week picks for Oct. 19-21, including the Middleburg Film Festival, Tri-County‘s Fall Festival, and an American Roots Revival concert at Buchanan Hall. 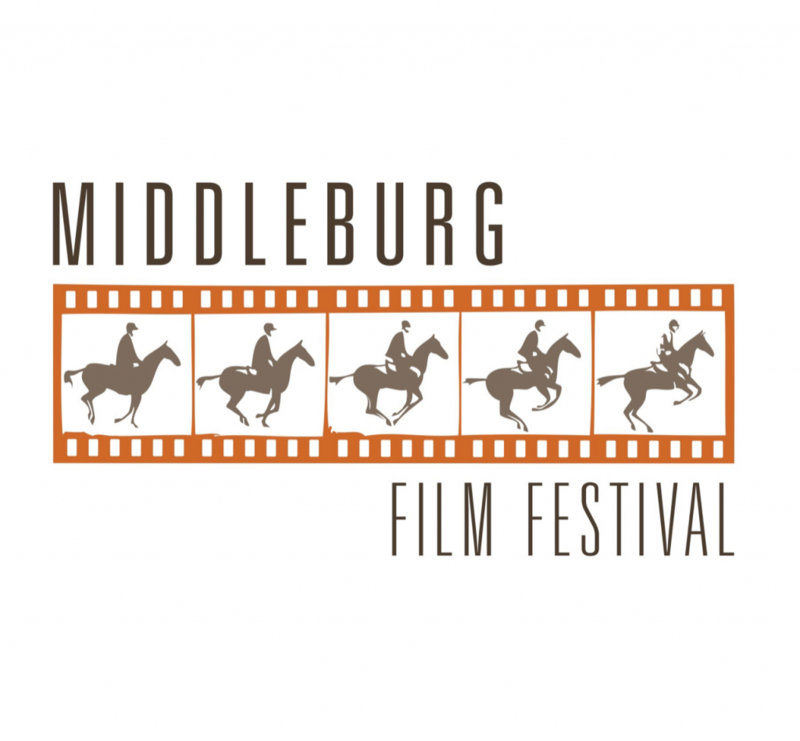 The Middleburg Film Festival offers four days of fantastic films in a spectacular setting. A carefully curated selection of narrative and documentary films screen in intimate theatre venues, followed by fascinating Q and A’s with world-renowned filmmakers, actors, and other special guests. The films include festival favorites, world premieres, first-class foreign films, and Academy Award contenders. Tri-County’s Family Fall Festival & 40th Anniversary: Oct. 20 | 10 a.m.-4 p.m. Celebrate 40 years of Tri-County at the feed store’s Family Fall Festival! Partake in snacks and swigs from Glascocks Grocery & Nicks Deli, Red Truck Bakery, The Whole Ox and Field & Main Restaurant. Enjoy live tunes & performances by Community Music School of the Piedmont, magician Chris Michael and the Mike Neitch Band, demos by Mountainside Montessori School and Sergeant Brubaker’s K9 Unit, plus check out the Loft Above the Feed Store. Speak with your favorite feed vendors including Ariat International, Inc., Buckeye Nutrition, Cargill, Cavalor North America, Nutrena Horse Feed and Purina. Win door prizes & giveaways. American Roots Revival at Buchanan Hall: Oct. 21 | 4-8 p.m.
Janet Emma & Seven West join forces with Sally Mae Foster for this alt-country concert. 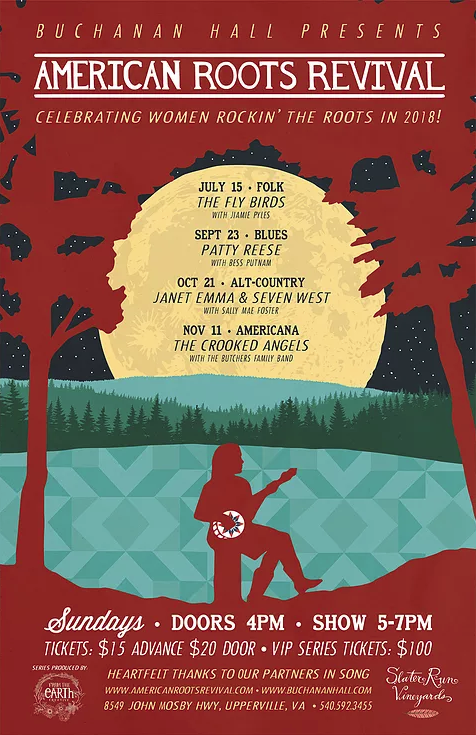 Janet Emma & Seven West hail from the Blue Ridge foothills but often feature DC’s finest musicians on live shows for a double shot of swinging’ alt-country Americana with whip! Strong songwriting combined with killer musicianship and rockin’ energy make this band a barn dance favorite. Sally Mae Foster has been charming audiences with her antics for over a decade. And it isn’t hard to see why. Who isn’t a little bit amused by the idea of a girl who does four things at once to a fairly good rhythm? Foster tends to attempt the impossible with her range and abilities and is always looking out for the next corner of the envelope to push. Hennessy Tasting Class at Salamander Resort & Spa: Oct. 19 | 2-4 p.m. Harvest Dinners at The Red Fox Inn & Tavern: Oct. 19 & 20 | 5-9 p.m. The Butterfly 5K/10K with Blue Ridge Hospice: Oct. 20 | 9-10:30 a.m. Makeup Artist Mimi Banasik at Tully Rector: Oct. 20 | Noon-5 p.m.
Belvedere Cocktail Class with Master Mixologist Brian Stewart at Salamander Resort & Spa: Oct. 20 | 2-4 p.m.
“The Gardens of Bunny Mellon” Book Signing & Talk at Second Chapter Books: Oct. 20 | 5:30 p.m.
Live Music by Far Away Songs at 50 West Vineyards: Oct. 21 | 1:30-4:30 p.m.
Wakefield School’s 17th Annual Golf Tournament: Oct. 22 | 9:30 a.m.-5:30 p.m.
Hit the links with Wakefield School for their 17th annual golf tournament at Evergreen Country Club. All proceeds from the event will benefit Wakefield’s athletic program! The cost is $175 per person or $600 per foursome. Spooky Cocktail Creations Class at Harrimans Virginia Piedmont Grill: Oct. 27 | 2-4 p.m.
Get in the October spooky spirt with this festive cocktail class at Salamander Resort & Spa! Join Salamander’s Director of Food & Beverage Jacob Musyt for a class on the basics of mixology and creating the perfect cocktail for your spooky Halloween gathering. $79 per person. Reservations required; please call 540-326-4070. Prices do not include tax and gratuity. “Hot Dog! 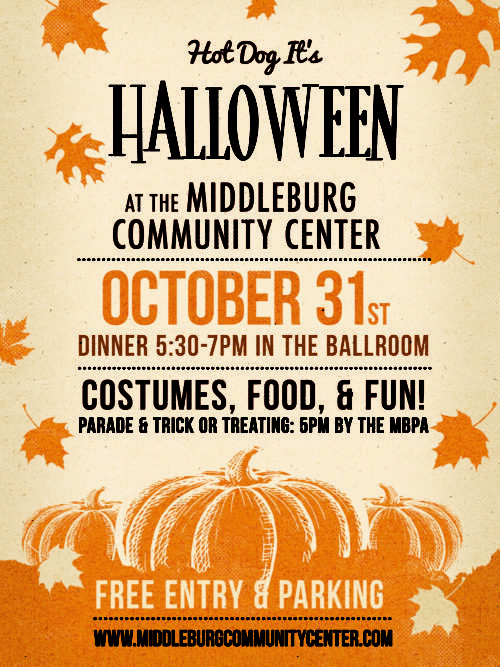 It’s Halloween!” at the Middleburg Community Center: Oct. 31 | 5-7 p.m.
Come in your best costume for the annual “Hot Dog! It’s Halloween1” celebration at the Middleburg Community Center! A parade through town to trick-or-treat at local businesses and showcase everyone’s costumes will begin at the steps of the MCC at 5 p.m. Hot dog dinner will be provided at 5:30 p.m., as well as goodie bags for the kiddos. Entry is free! Bring your friends and get ready to have a spooktacular time! Family Storytime at Middleburg Library: Oct. 22 | 11-11:30 a.m.
Maker Monday at Middleburg Library: Oct. 22 | 4-4:30 p.m.
Dishes of Sicily Cooking Class at Girasole: Oct. 23 | 6:30 p.m.
Musical Storytime at Middleburg Library: Oct. 24 | 11-11:30 a.m.
Gallery Talk at the National Sporting Library & Museum: Oct. 24 | 2-2:30 p.m.
Library Lab at Middleburg Library: Oct. 24 | 4-4:30 p.m.
Fall Jewelry Show at Mystique: Oct. 25 | 11 a.m.-2 p.m. Harvest Dinners at The Red Fox Inn & Tavern: Oct. 26 & 27 | 5-9 p.m.
“And the World Goes ‘Round” Musical Revue at Foxcroft School: Oct. 26 | 7:30-9:30 p.m.
Concert on the Steps at the Middleburg Community Center: Oct. 26 | 5:30-7:30 p.m.
Fall Fun at the Mt. Defiance Cider Barn: Oct. 27 | 7-9 p.m.
Pianist John Nilsen at Middleburg United Methodist Church: Oct. 28 | 2 p.m.